Getting through the security checkpoints is one of the most frustrating and stressful parts of traveling. By taking the time to prepare and adopt new practices, you’ll be better prepared for this part of flying. These tips can help you get where you’re going without adding delays to your journey. While this isn’t available at every airport yet, more and more terminals are jumping onboard. It’s currently available at more than 200 airports and allows you to speed up your check-in process. By participating in the program, you won’t have to remove your shoes or take laptops out for inspection. The U.S. Customs Department operates a similar program for international travelers, which is called the Global Entry program. As you check-in with your airline, go through security, and board the plane, there are certain documents you’ll need to produce. Typically, these include your photo ID, boarding pass, and possibly your passport. Instead of letting these items get lost in your carry-on or a purse, keep them someplace more convenient. You can save time and frustration by being able to produce these documents in a moment’s notice. This primarily refers to accessories and extras, like jewelry, belts, and similar items. 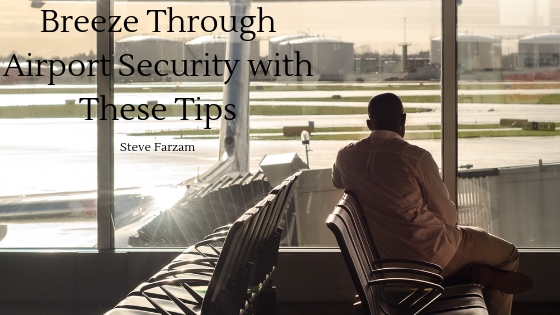 Before you get to security, it’s a good idea to remove these items and tuck them in a carry-on bag along with your mobile device and other things. In a crunch, you can shove items into your jacket pocket. By sending as much as possible through the X-ray machine, you’ll spend less time dressing down for TSA officers. It can also be helpful to buy a pair of slip-on shoes for travel day, so you won’t waste time lacing up, once you do get through security. From laptop covers to bags for your sundries, there are many TSA-friendly travel items on the market. Typically, these are clear bags made of durable plastic that will make the job of TSA officers a little easier. By making their jobs easier, you’ll also be helping yourself get through the checkpoint that much faster. Traveling is often stressful, even when things go according to plan. Taking the extra time to prepare and being mindful of how you travel can make this process go easier. This means you’ll feel better when you do get to your destination.